The neighborhood of Old Town is in the heart of the city of San Diego, California. Old Town features both Old Town San Diego State Historic Park and Presidio Park appear on the National Register of Historic Places. This neighborhood is a popular tourist destination with numerous art galleries, hotels and museums as well as historic architecture and unique shopping opportunities. Old Town spans 230 acres from Mission Hills to Interstate 5, and from Banker's Hills to Intersate 8. The lands in and around Old Town were the first areas settled by Europeans in the region. The Old Town Community Planning Committee works in conjunction with the city government advising it on matters of land use and other topics to protect the interest of the community. Modern history of the area began in 1769, when Gaspar de PortolÃ and JunÃ­pero Serra established San Diego Presidio and Mission San Diego de AlcalÃ¡. Together the Presido and the Mission made up the first Spanish settlement in what would one day be the state of California. By the 1820s the city of San Diego had begun to grow and in 1834 Mexico controlled the area and granted the settlement of San Diego the rank of pueblo establishing it as a chartered town. In 1910 the neighborhood of Old Town was connected to other neighborhoods in the city by the the Class 1 streetcars which operated up until 1939. Today, citizens and business owners of Old Town work together to protect the neighborhoods unique heritage and capitalize on it. They do this by protecting and preserving it's historic places and structures and use them to draw in tourist and their funds. The neighborhood features quiet streets and an abundance of parks and green spaces. 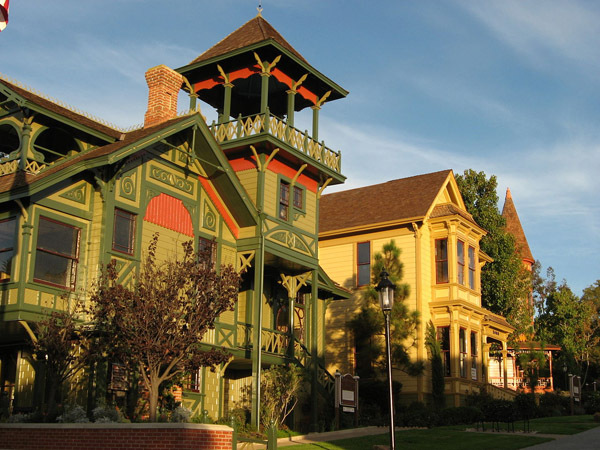 Much of the neighborhoods economy rests in tourism due to the nine hotels, 32 restaurants and more than a hundred specialty shops within its borders, as well as 12 art galleries and 27 historic buildings and sites. The community hosts a variety of events annually like San Diego's Cinco de Mayo, The Old Town Art Festival, Feista Navidad and Dia de los Muertos. Ghost tours are another popular attraction visiting sites like Whaley House and the El Campo Cemetery. The neighborhood features quiet streets and an abundance of parks and green spaces. The neighborhood is an interesting mix of residential, business and historic. Homes for sale range from small starter homes up through large historic structures. Apartments, condominiums and town houses are other real estate possibilities. Local agents await to help you explore this wonderful neighborhood and find just the right place to call home. Learn more about schools near Old Town complete with ratings and contact information.